Illuminate your seasonal celebration with pre-event promotions that shine as brightly as your dreams when you print Holiday Lights Posters in advance. These Posters feature a pretty design of pink, green, yellow, and orange lights, and include space to upload a unique image of your choice to the template. 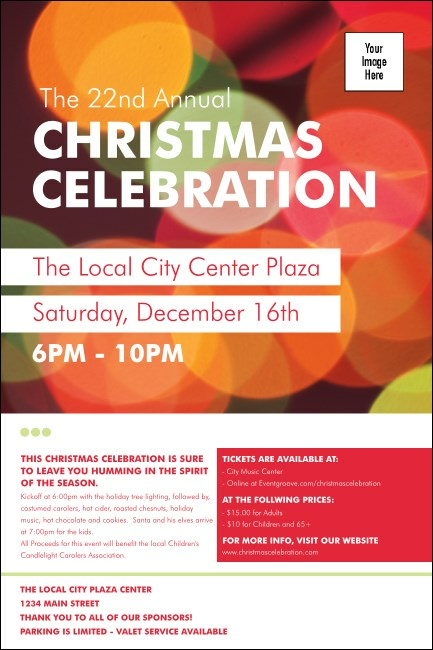 Get the town ready to welcome a New Year with Holiday Posters from TicketPrinting.com.